AutoCAD 2010 compatible, high quality general use CAD software for building architectural civil and industrial engineering design - similar icons, commands and interface. DWG 2010 and Windows 7 compatible, raster-to-vector software included. PDF, DWF, SVG & Google Earth support, IntelliCAD AutoLISP, VBA & DIESEL, ACIS 3D modeling, layers, blocks. Hatch and xref editing. 3D shading and rendering options. approx. 11000+ CAD symbols library. AutoCAD -like design CAD Software - edit DWG 2010, PDF, & 3D support, low cost. ...... 2D and 3D CAD drawing using common AutoCAD and AutoCAD LT commands including print view layout, one-click text editing and similar context menus. 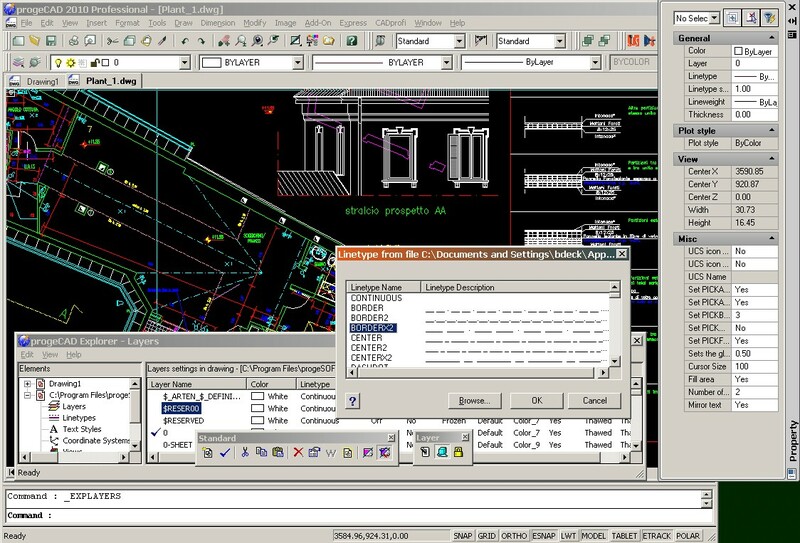 Qweas is providing links to progeCAD Professional 2010 DWG CAD 10.0.8.9 as a courtesy, and makes no representations regarding progeCAD Professional 2010 DWG CAD or any other applications or any information related thereto. Any questions, complaints or claims regarding this application progeCAD Professional 2010 DWG CAD 10.0.8.9 must be directed to the appropriate software vendor. You may click the publisher link of progeCAD Professional 2010 DWG CAD on the top of this page to get more details about the vendor.